Last weekend, I attended the Mohonk Mountain House Knitting Weeking, and organizer Paula of White Barn Farm was nice enough to invite me to be a vendor at the retreat marketplace. 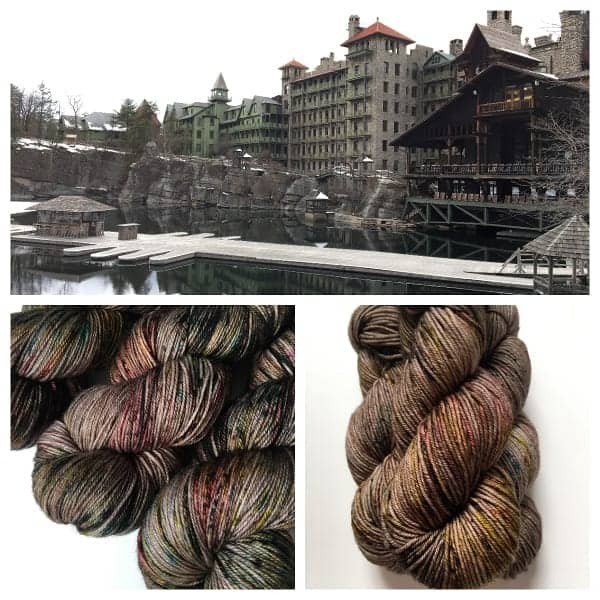 I contacted Christine of Skeinny Dipping and asked her to create a Mohonk-inspired colorway. The remaining skeins of this limited-edition colorway — similar to Christine’s beautifully rustic Hearth Tweed, but with some pops of color — are now available in the Indie Untangled pop-up shop. Mohonk-y Tonk is joined in the shop by the return of Duck Duck Wool’s Glaciers & Wildflowers. There are also a very limited number of yarn ball zipper bags from the talented Vicki of That Clever Clementine. 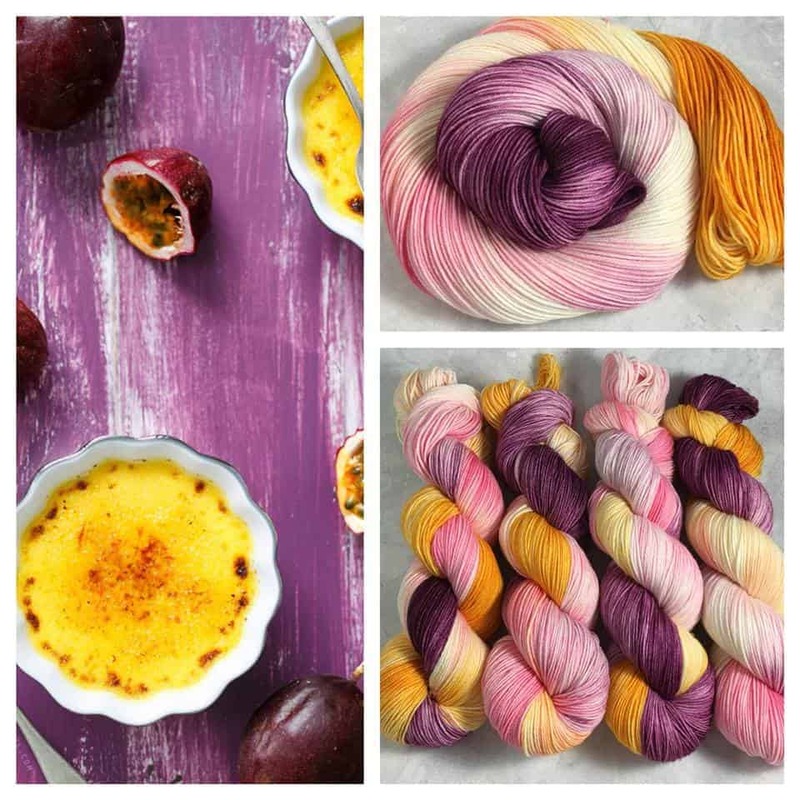 Suzanne of Groovy Hues Fibers is bringing back Passion Fruit Creme Brulee, a much-loved colorway that only 10 people currently have. If you’re hungry for this colorway, be aware that Suzanne is limiting preorders to 20 skeins on eight different bases. 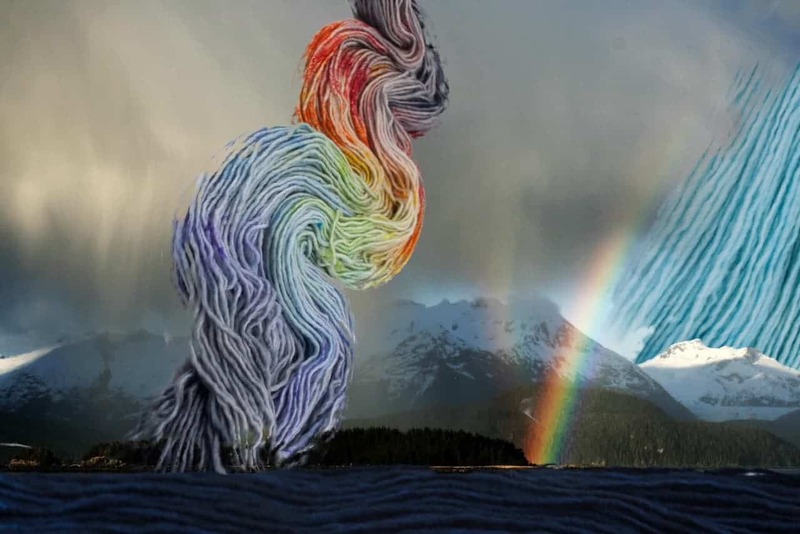 One of the Spirit Trail Fiberworks newsletter subscribers sent a photo of a rainbow she spotted while on a ferry in Alaska. Jennifer has turned it into four different colorways: two speckled rainbows and two complementary semisolids. They are only available to order through today! 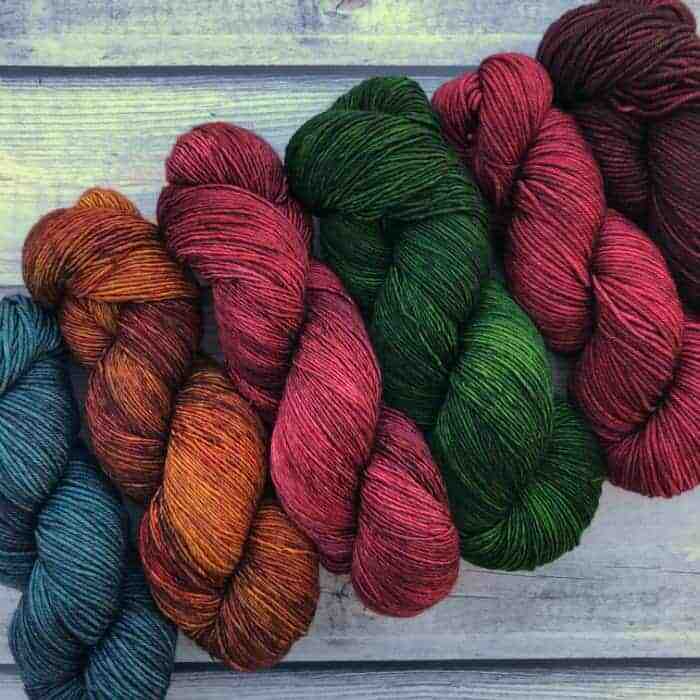 If you’re looking for some brighter colors from Skeinny Dipping, or something to complement Mohonk-y Tonk — Creature Feature and Don’t Tell Me To Smile will work well — Christine just had a shop update. 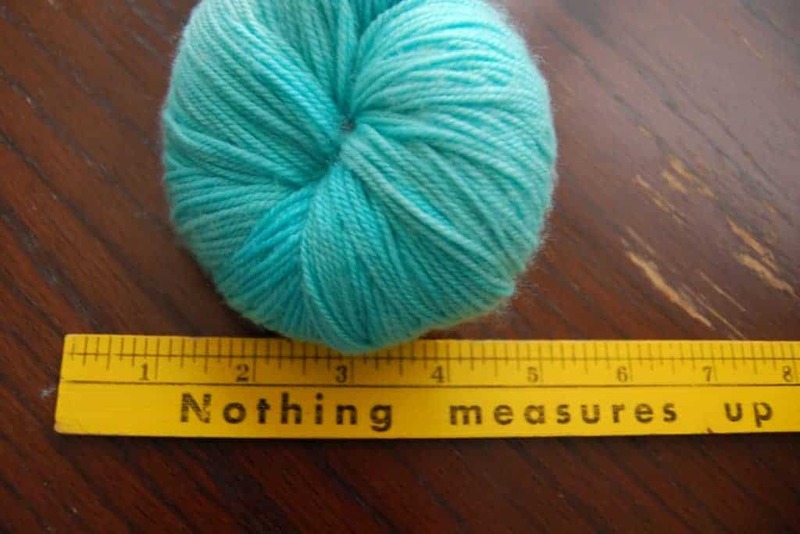 This entry was posted in What to Stash and tagged limited, pre-orders, updates, yarn.